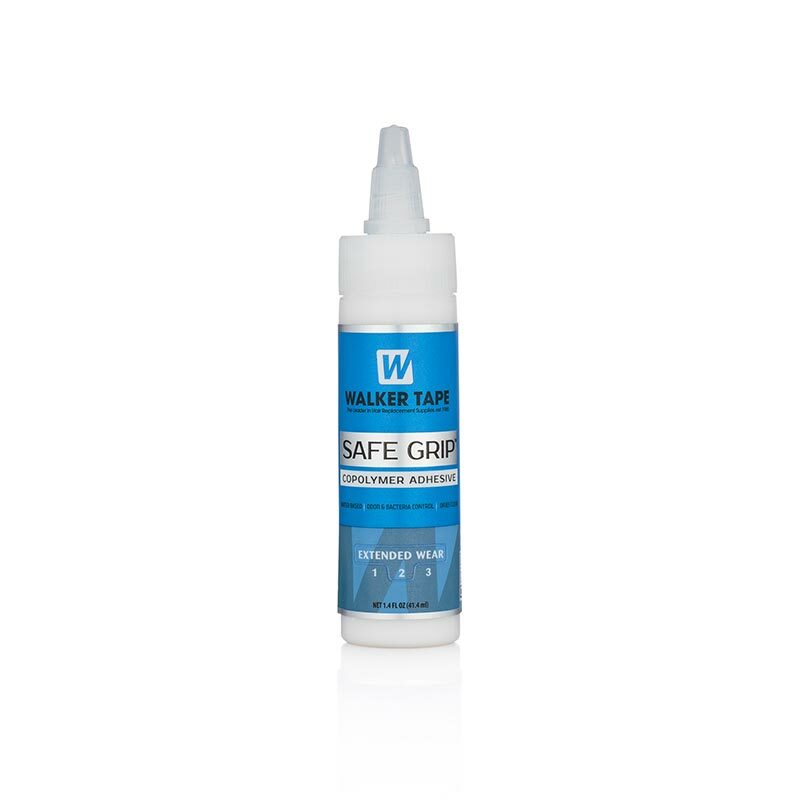 Walker Tape Safe Grip Adhesive is our most popular Extended Wear hold hair system adhesive. It’s water based which means you’ll use soap and water to remove it, not a solvent. Safe Grip Adhesive is non-stringy, non flammable and low odour which makes it brilliant to work with. 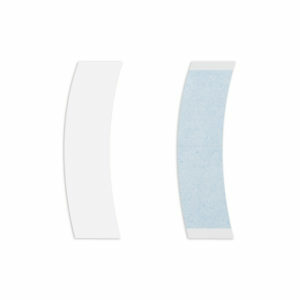 It dries clear with a great bond, which can last for up to 1-2 weeks. It is bacteria resistant to keep things fresh longer. 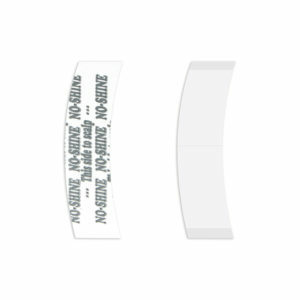 Safe Grip is copolymer water based so if you’re looking for an adhesive that is a little easier to work with, this is the one for you. Safe Grip is an extended wear adhesive so that means it will hold for 1-2 weeks but if you are looking for a longer hold with a water based adhesive then use Great White adhesive. These fantastic adhesives are from Walker Tape Co, the market leaders in hair replacement products. 1. Clean the scalp area using 99% alcohol and then apply the scalp protector and let your skin dry. 2. POLY SYSTEMS: Apply thin even coats of Safe Grip Adhesive to the hair system unit using a makeup sponge. Allow the first coat to dry before applying a second coat for a longer hold time. 3. MESH SYSTEMS: Apply thin even coats of Safe Grip Adhesive to the scalp using a makeup sponge. Allow the first coat to dry before applying a second coat for a longer hold time. 4. Apply the unit by positioning the front of the system in place and rolling the system back over the scalp. Press firmly into place. 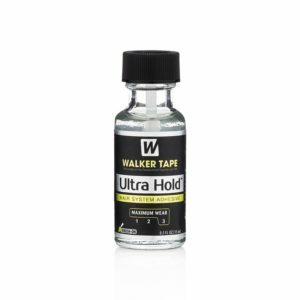 Walker Tape Ultra Hold Brush On Adhesive 0.5 fl oz is a waterproof acrylic based soft bond adhesive that has a strong, secure hold which can last for up to 3-6 weeks. 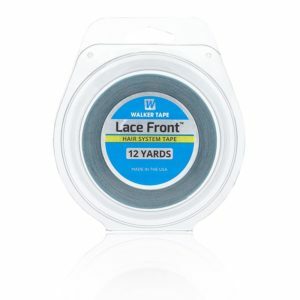 This is probably the most popular maximum wear adhesive amongst hair system wearers.